Francis Moran & Associates > Commercialization ecosystem > Do you have the key ingredients for an effective board? Do you have the key ingredients for an effective board? The recruitment and retention of a good board of directors can be formidable tasks in any company, particularly in a high technology company where a knowledge of the technology as well as an understanding of corporate governance is required. The first question that the owners of a new company must address is when to start the process of installing a board or if in fact it should be started at all. If the company is a “mom-and-pop” operation and it is the intent of the owners to keep it that way, a board of advisors is likely all that is needed. But when outside investors are brought in, a proper board should be recruited and its number one responsibility should be to protect the interests of all shareholders. In actual fact, it has responsibilities to all of the company’s stakeholders (employees and vendors, etc) but if they discharge their shareholders’ responsibilities properly, they will find that they are doing what is right for all the stakeholders – unless it is a fraudulent operation to begin with. 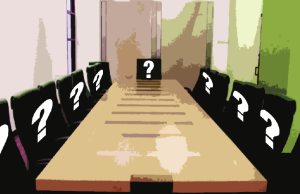 As for the duties and responsibilities of a board, it is not unreasonable for board members to look upon themselves as a committee of shareholders who have been asked by all the shareholders to run the company and to do so, they are expected to recruit a management team that will carry out the various management functions like selling and marketing, research and development, finance and administration, operations and so forth. Those four positions, plus that of the CEO, make up the management teams of most high technology companies. And this brings us to the makeup of the board. One approach is to recruit directors who collectively have the above five skill sets. It is a way of ensuring that the board does not get stacked with lawyers or accountants or sales people. It does present the possibility of “stove pipes” of communication evolving between board members and individual members of the management team. It will be up to the board chair to ensure against that. The board’s very first step should be to ensure that there is an annually updated strategic plan in place that covers the next five years of operation. The third step is to ensure that there is a monthly updated forecasting system in place that shows how the management team thinks it is going to perform against the budget. This is a very powerful tool in the management of a company and its component parts. For example, it can be used to weed out distributors who pay little attention to customers except when a major purchase appears on the scene. Obviously, the tools described above imply a level and style of governance that is pretty foreign to the Canadian high tech scene but we can all think of boards that could have benefited from them. In my next post, I will talk about a company that built its board well and a well-known heavyweight in Canada’s technology sector that did not.